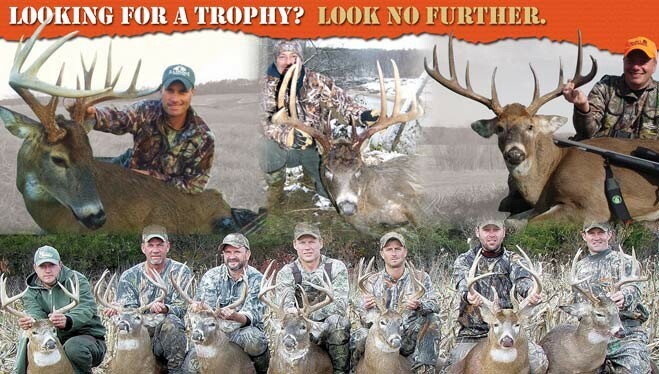 What are you looking for in a trophy Whitetail hunt? Chances are you will find everything you are looking for and more at Illinois Connection. 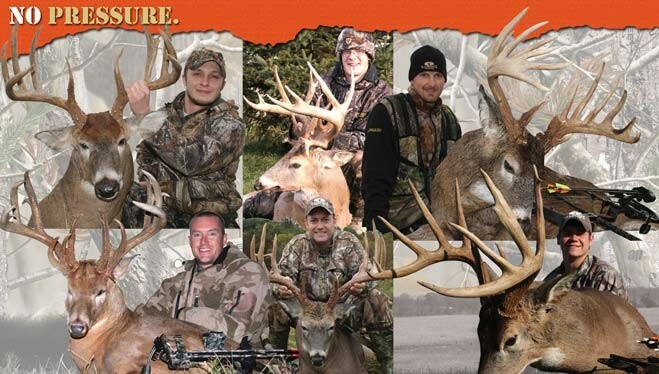 We offer some of the highest quality free range whitetail in the entire world. We offer unique hunting, one-of-a-kind lodging and service second to none. First rule of a successful business…Location. We are situated in Mt. Sterling, geographically located in Mid West Central Illinois, nestled in between the Illinois and Mississippi Rivers. The Mecca of Illinois: Pike, Brown, Schuyler and Adams Counties, commonly referred to as the Golden Triangle. The ingredients to produce trophy class bucks. We manage over 16,000 acres of private land. 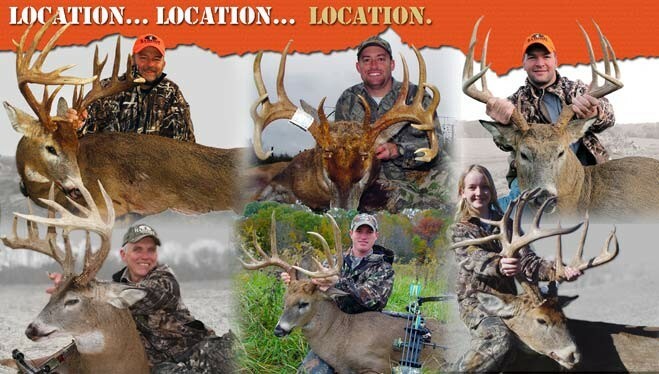 Our properties are managed with one goal in mind: producing large whitetail bucks. We do that by strictly enforcing antler minimums, providing deer with the proper nutrition, usage of many farms, over 1000 stands and a limited number of hunters targeted at the proper time. As a result, our bucks have minimal pressure, reach a mature age and our clients are given the maximum chance. 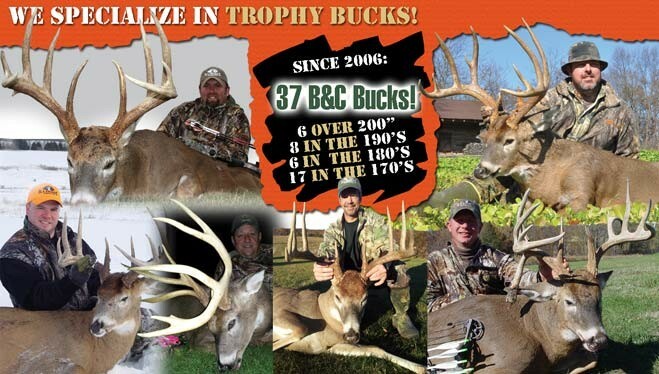 How we harvest more trophy class bucks than almost any other outfitter is the fact that we offer a limited number of hunters to hunt with us each year. We are more concerned with our hunters’ success and the number of inches of antlers harvested than we are about large numbers of hunters and lots of money. Honestly, our ground sits most of the time. As a result, our properties are not beaten up, our deer herd is not over hunted and our staff is not burned out. Our lodge is a resort built for hunters who want to go on a hunting vacation, not just a hunt. From the fountain drink dispenser to the full bar and pool table, Illinois Connection has it all. 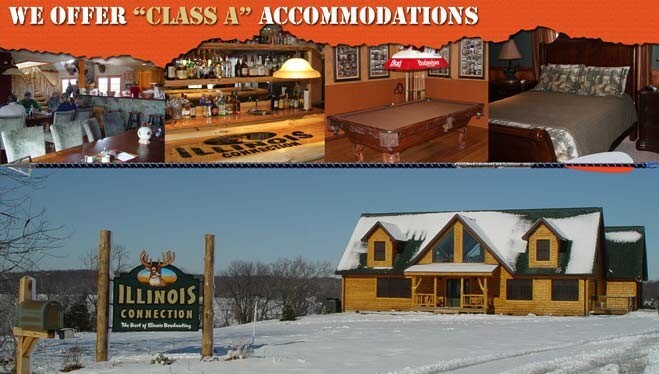 Log accents, leather furniture, a field stone fireplace, custom hardwood floors and clean rooms make Illinois Connection a warm and inviting place everyone enjoys coming back to after a long day of hunting. How good is our hunting? 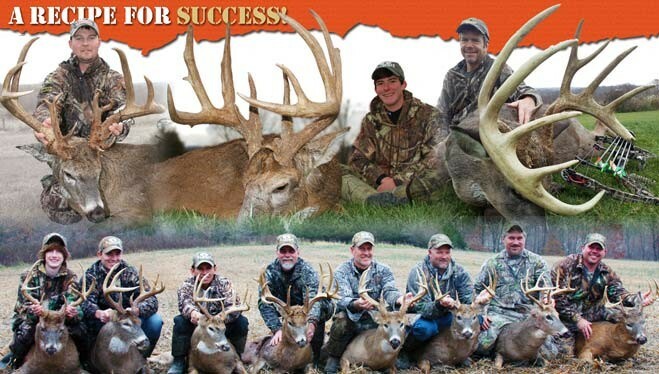 In the last six years, our ground has produced 37 gross scoring Boone and Crockett’s, six in the 200’s, eight in the 190’s, six in the 180’s and seventeen in the 170’s.